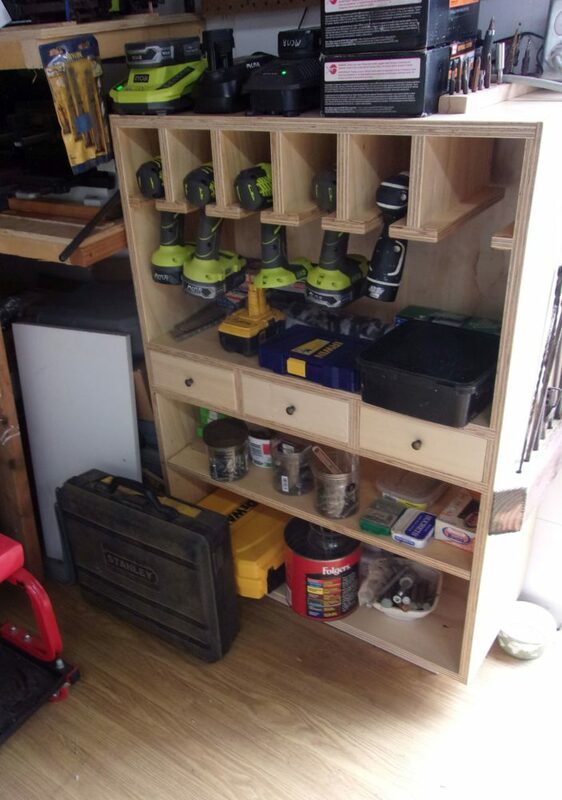 We had some of our power tools nicked. They were battery powered and they didn’t get the batteries????????? 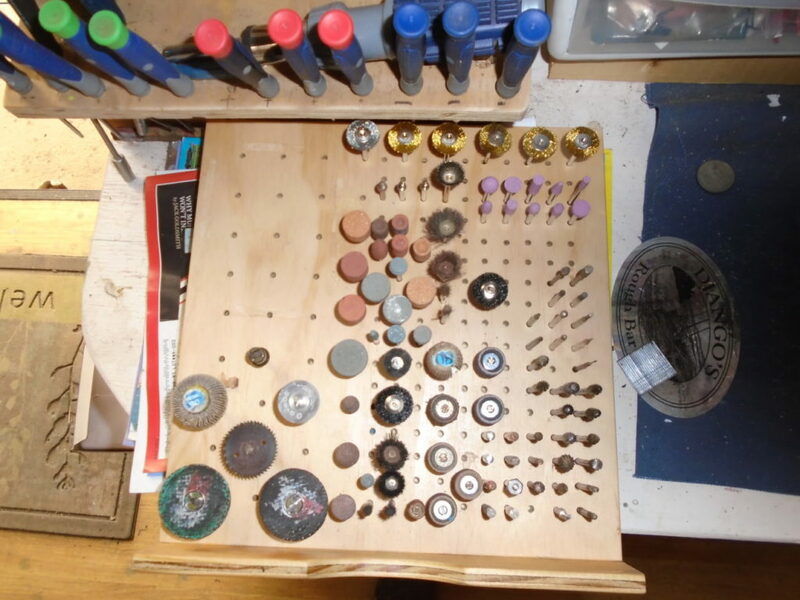 And another tray underneath for more stuff …. 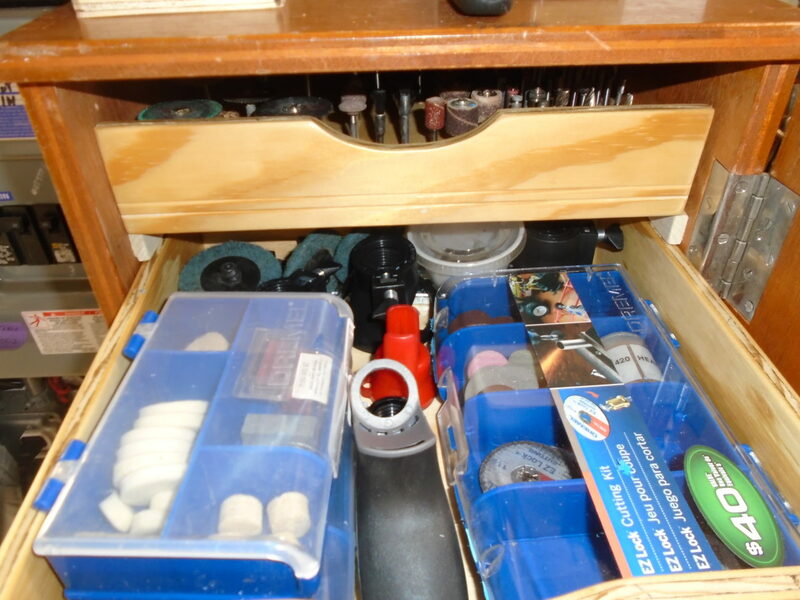 As for the power tools – here’s the tool cabinet that Lonnie built …….. Thanks for your fine work Lonnie. 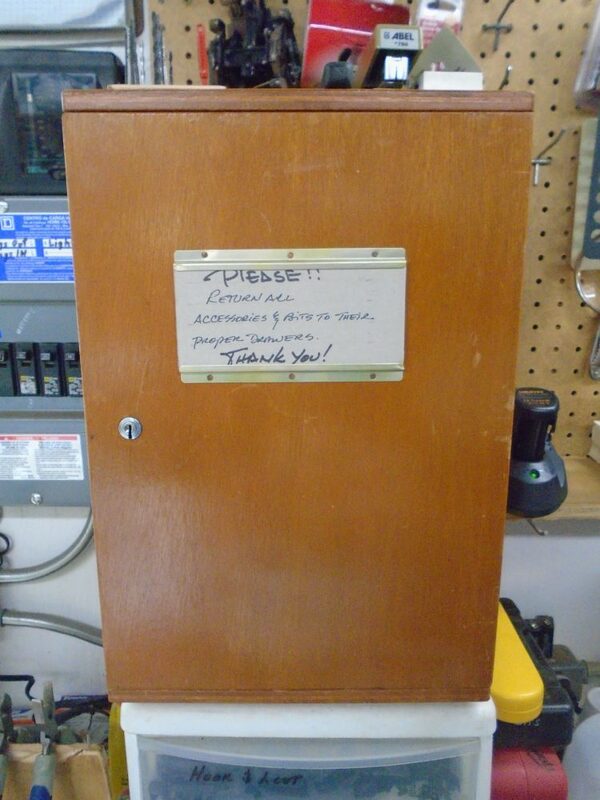 Hopefully thje fact that the cabinets are inside the workshop container will keep them safe.